Free parking is available in two (2) retail garages within the Beauvallon building (east-facing side). 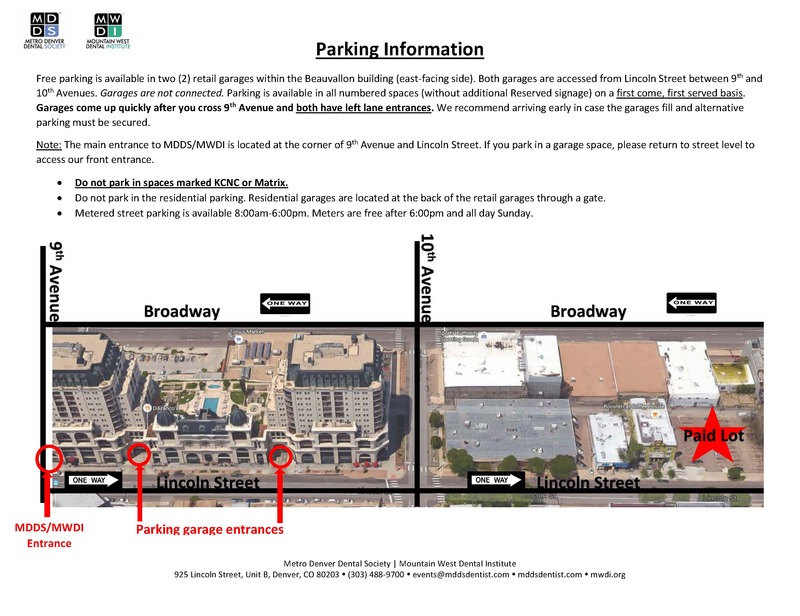 Both garages are accessed from Lincoln Street between 9th and 10th Avenues. Garages are not connected. 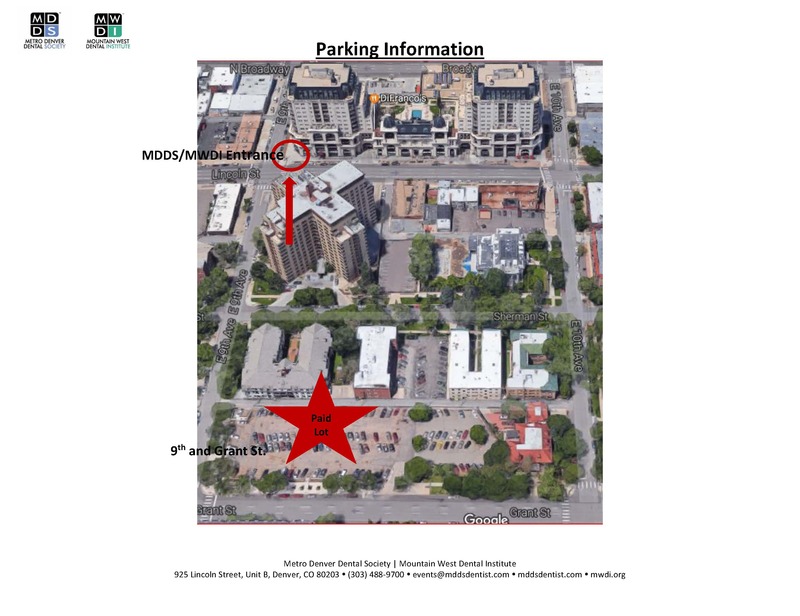 Parking is available in all numbered spaces (without additional Reserved signage) on a first come, first served basis. Garages come up quickly after you cross 9th Avenue and both have left lane entrances. We recommend arriving early in case the garages fill and alternative parking must be secured. Click the images or button below to download more information. The MDDS is an ADA CERP Recognized Provider. ADA CERP is a service of the American Dental Association to assist dental professionals in identifying quality providers of continuing dental education. ADA CERP does not approve or endorse individual courses or instructors, nor does it imply acceptance of credit hours by boards of dentistry. MDDS designates courses for the number of CE hours listed with each course. MDDS credits are approved by the AGD for Fellowship and Mastership credits. Course Disclaimer: MDDS makes every effort to present high caliber speakers in their respective areas of expertise. MDDS courses are offered as information only and not as financial, accounting, legal or other professional advice. Attendees must consult with their own professional advisers. In addition, each participant must decide the merit and practicality of the material presented. The ideas and comments expressed during the courses are not necessarily endorsed by or are those of MDDS. MDDS warns attendees about the potential risks of using limited knowledge when integrating new techniques into your practices.